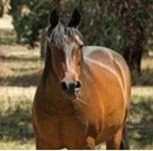 Western Feed, in cooperation with the U.S. Food and Drug Administration (FDA) is issuing a voluntary recall on two lots of Kountry Buffet 14% horse feed due to possible monensin sodium (Rumensin) contamination. How the feed became contaminated was not included in the recall statement. However, Western Feed said they have received reports of horses dying after consuming the feed. Initial testing by a private lab suggested the presence of potentially harmful amounts of monensin sodium in the feed. The two lots being recalled are numbered M718430 and M720280. The company said the numbers can be located on the bottom of the feed bags, below the feeding directions. Monensin sodium, or Rumensin, is a medication used commonly in cattle feed for prevention of certain diseases and ailments, and to assist in weight gain. The affected lots were distributed to retailers in Nebraska and Wyoming from December 2, 2011 through December 15, 2011. In horses, Rumensin in trace amounts can cause a horse to lose their appetite (a rare occurrence with horses) and show signs of colic (a severe belly-ache and the leading cause of death in horses). Symptoms appear worse if lager amounts are digested, including worsening signs of colic (looking at belly, wanting to lie down and roll repeatedly), stiffness, sweating, a lack of co-ordination and eventually the inability to stand. The company is asking shoppers who purchased feed in the affected lots to stop using it immediately and call Western Feed at 308-247-2601.